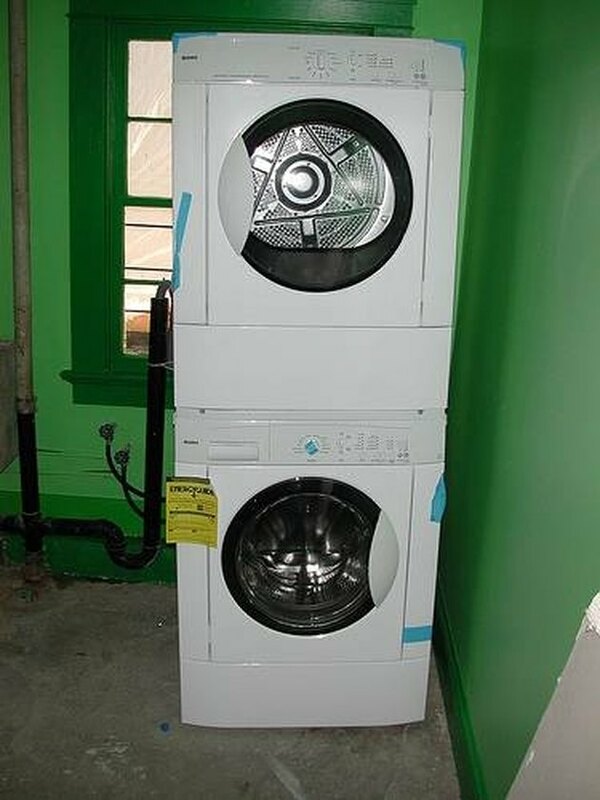 Living in a small home or apartment presents space challenges when it comes to washer-and-dryer units. Many people choose to build cabinets or place their stacked washer and dryer units in an unseen space in effort to "hide" them. There are many ways to do this, depending on the layout and design of the home. Some apartments come furnished with built-in hide-away cabinets for washer and dryer units, while others provide hookups in the kitchen. Small homes usually do not come with these built-in features, so it's necessary to think of new ways to hide it. Customized cabinets designed to hide stacked washer-and-dryer units are much easier to construct than cabinets for standalone units. DoItYourself.com asserts that "custom-designed cabinets are the best way to hide (a) washer and dryer from view while blending (the) laundry area into (a) home's decor. This is a good choice when utility or laundry rooms (are) located close to (the) living area." When the machines are not in use, simply close the doors and hide them from view. If a home has a inset for the washer and dryer, but no doors that allow it to be hidden from view, consider using a fabric drape to cover the opening. 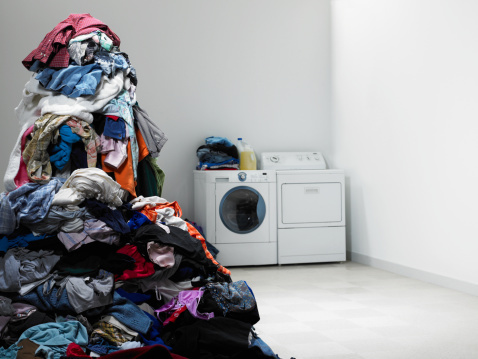 According to DoItYourself.com, using fabric is the most inexpensive way to hide a stacked washer-and-dryer unit, while still allowing it to blend into a home's decor. It also suggests that "this inexpensive alternative ... works best with heavy drape material that is hung from a tension rod that is suspended across the opening." Most of the supplies for this project can be purchased at a fabric or department store at little to no cost. If it is not possible to construct an inset or cabinet for a washer and dryer, the best way to hide it is by placing it in an unfrequented area of the home. For example, placing the stacked unit in the corner of the kitchen that is not visible from an adjoining room "hides" it. If wishing to conceal it further, consider placing a tall and wide bookshelf on either side of the unit. Cover the opening with a curtain to effectively hide the unit from view while not in use. Hang the curtain by placing a rod between the two bookshelves. This can be done in any area of the home, not just the kitchen.